Some people may be wondering what e-design is, how it works, and who it's for. Since this is something I love to do, I thought that I would explain what exactly it is. First let's talk about what e-design is. E-design is virtual interior design that provides you with a complete design of your room personalized to your style and needs. It is a way to have someone help decorate your home from anywhere. It's typically cheaper than traditional interior design and is convenient because you can add the suggested pieces whenever you want. The process is simple. On my e-design page you will see all the services I offer. Once you select the service you want you will see a questionnaire to fill out. This questionnaire will help me make sure I am meeting all your needs for the room. The questions are simple. For example, I will ask the dimensions of the room. This is so that I know how large certain pieces of furniture can be. I will also ask your style preferences and your likes and dislikes. This is so that I can make sure I am picking out pieces that you will love. 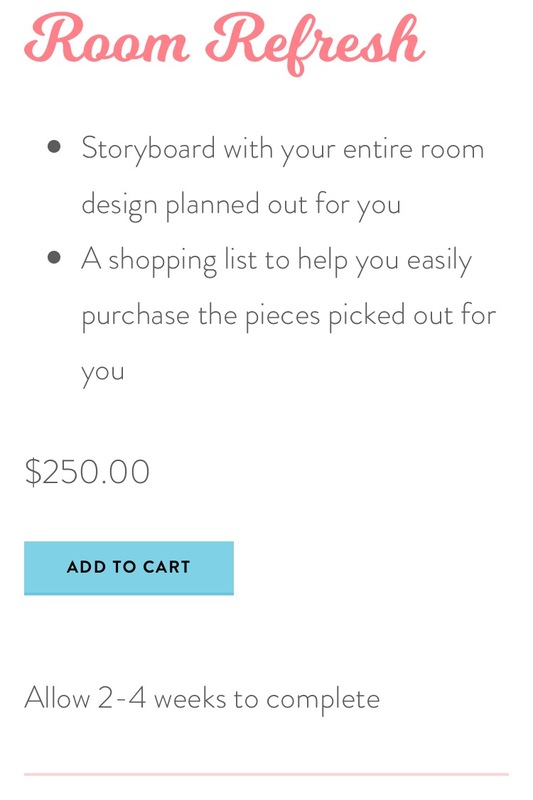 If you like modern design, that's how I will design your storyboard. If you like rustic elements, I will make sure to tie that in. The whole process is to make sure you get the exact look you want. After you fill out the questionnaire I will get started on designing your storyboard! 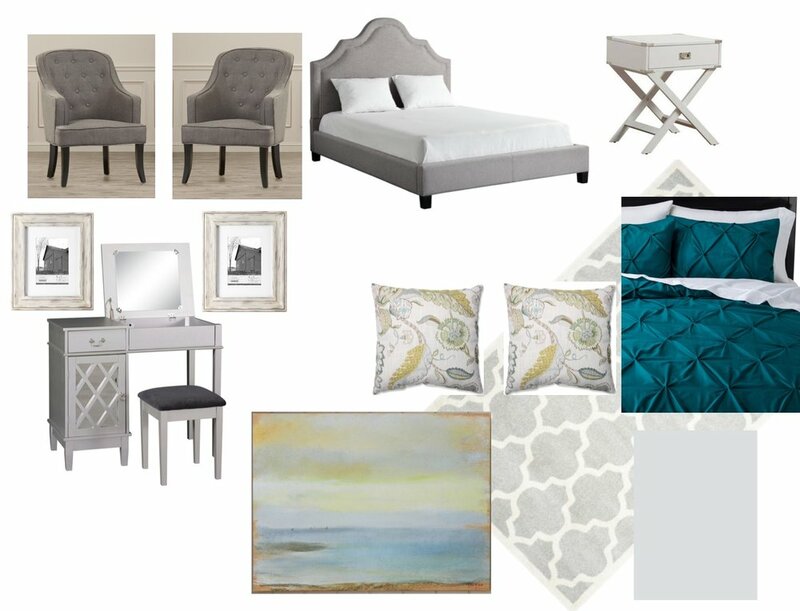 Here is an example storyboard I designed for a master bedroom. This is an example of what a finished storyboard looks like. You will also receive a list of all the products and a link to purchase each of them. Now that you understand more about what e-design is and how the process works you may be wondering who it's for. It's for anyone! That's what's so great about this service. Anyone, anywhere can receive this service because it's all done virtually. There's no need to live in the same city or even the same state. I live in Ohio, but I can work with someone in California. It's also great for anyone who doesn't want to purchase everything all at once. Once you receive your storyboard you can implement the design in your own time. There is no pressure to purchase everything all at the same time. If you only want to add the throw pillows for now, you can do that. If you want to purchase everything you can do that too. It's up to you. I hope this helped you better understand what e-design is and how it works. I am currently running a special on all storyboards. Use code LEAVES and receive 15% off! This sale is running through the end of September so head over to my e-design page before it's over!